Amazon family cruises are becoming more common, and who better to keep young children and teenagers entertained than Mother Nature herself, with all her stunning scenery and fascinating flora and fauna. It is important to note that families are welcome on all cruises, but not all cruises cater specifically for kids, and indeed most have minimum age requirements. 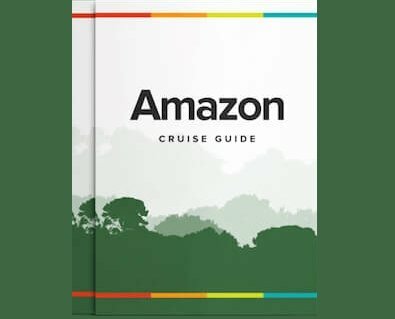 Here are our favorite Amazon cruises best suited to families. An Amazon family cruise is a holiday like no other. Whether you have one child, many children or those children have now become adults and have their own kids, to travel with family to such a unique and inspiring destination as the Amazon Rainforest is an amazing and rewarding experience, one that the whole family will remember for a life time. The accommodation on board selected boats can be tailored to family travel. Some of the cabins are very spacious, allowing to add a foldable bed, while others have interconnectable rooms. These cabins have private facilities, hot water and air conditioning. Ask us how we can make your cabin family friendly. All meals are included and the food is delicious, typically using rich local ingredients found in the Amazon region. With early notice, the chefs can happily accommodate any dietary requirements or children who are fussy with food, ensuring a smooth and happy cruise for everyone. The lounge areas on our cruise boats are a favorite for families. Selected river boats have books, board games and video games available for children to be occupied during lounge hours. The outdoor seating area allows families to absorb the spectacular Amazon atmosphere. The crew on board are very friendly to children, most having families of their own. The staff do their very best with their warmth and service to ensure families enjoy their trip. There is roughly one crew member to every two or three passengers on board, so you will be very well looked-after. After already traveling to the Galapagos and Amazon Rainforest in Ecuador with Rainforest Cruises, return customer Charlie Walters returned to South America for another adventure, this time to Peru and an Amazon cruise aboard the Cattleya, again accompanied by his many grandchildren.